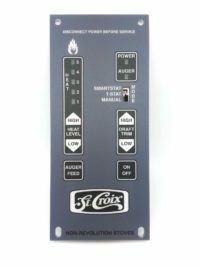 This is a common situation we see with St. Croix stoves, especially older models. 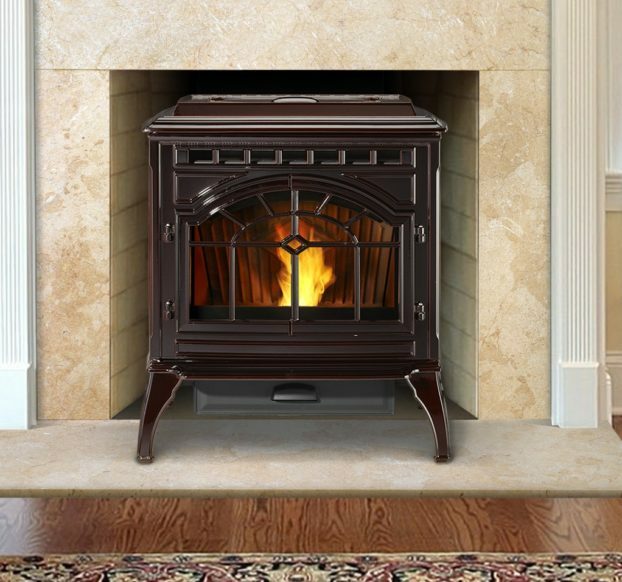 In most cases it appears the stove is overfeeding or feeding fuel continuously, when in fact the issue is with proper air-flow. 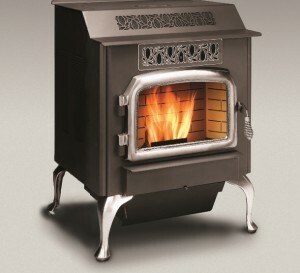 I have an older Prescott series St Croix stove that is not working properly. It continually feeds pellets and overfills the burn pot. The auger never quits. Any suggestions? Dennis, We are happy to assist. When you say that the unit feeds continuously, does the auger motor not stop turning? Inspect the feed motor while in operation (After the start-up cycle). If it is truly turning constantly and does not stop then that would indicate a control board issue. 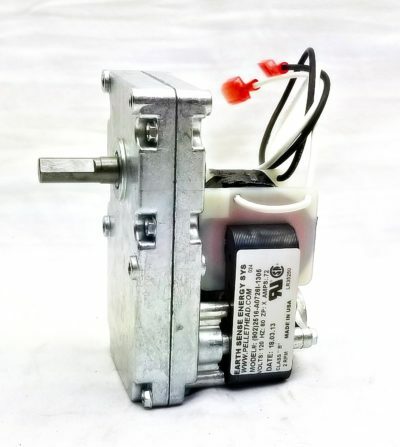 If the motor is starting and stopping and you see differences in the start and stop timing as you go to different heat settings than it more than likely is not the control board. In most cases where you are having this issue will be one, or a combination of the following. Ash blockage. Inspect & clean the vent pipe, combustion housing, firebox ash traps and heat exchange area. The ash drop/shaker is not closing completely underneath the burn pot area. That shaker rod needs to be pushed all the way in during operation. Over time ash build-up down there can prevent it from closing fully. Remove your burn pot and versa grate plate under the burn pot to thoroughly inspect and clean this area. Burn Pot & Versa Grate Shaker Plate. Inspect both the burn pot and shaker plate beneath. Make sure there’s no areas burned through and that everything is seating correctly; firepot has no air-gaps, seating securely against the firebox floor. Shaker plate to burn pot bottom clearance – should be no greater than 1/16 inch (out of adjustment or worn versa grate shaft bushings). Too great of clearance reduces air velocity through the pot air holes. Gasket leakage. Check both your door and ash pan gaskets. Use a dollar bill, put half in and half out, close the door and see how much resistance there is. Check every few inches around the firebox door and the ash pan door. Should be significant resistance. –Typically gaskets go 6-8 years on average before needing to be replaced. Air Intake. Check for ash accumulation in the intake tube below the burn pot – commonly overlooked and not always visible. Make sure the rear damper is set correctly. For 99% of installations, stick a pencil in the intake, close the butterfly damper down on the pencil and pull it out. This is as much as the damper should be open. Your Combustion/Exhaust fan. The motor itself could be weak/no longer providing correct voltage or it could just be ash blockage in the housing there. You can use a volt meter to test the combustion fan. After start-up cycle it should change voltages between each heat setting. Happy to assist, let us know what you find. We offer all parts & accessories for St. Croix and guarantee the lowest prices. HAVE FURTHER QUESTIONS OR NEED TECHNICAL ASSISTANCE? CONTACT MR. PELLETHEAD TODAY! 1. Cleaning. Ash will act as an insulator in all stoves. Make sure to thoroughly clean your firebox area, heat exchange tubes and surrounding areas, ash traps, combustion blower area manifold and exhaust vent piping. 2. Check your room air fan. Most will have impellers or a squirrel cage style wheel. Clean off dust/hair/etc.. Dry paint brush and compressed air works well. 3. Fuel Type. There is a big difference in wood pellets from one to the next in heat output and cleanliness. Make sure the pellet fuel has the PFI stamp of approval. 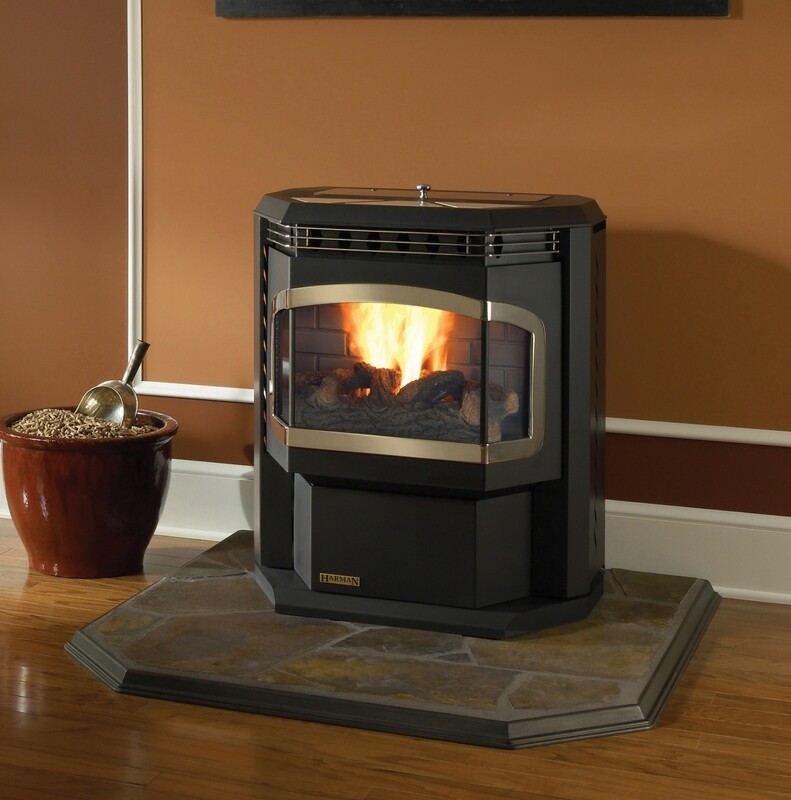 Look for pellets with low moisture content and high BTU output. Generally for wood pellets, Pine/Spruce/Douglas Fir are going to be the top performers. Final notes – Make sure your fire looks good while burning – crisp, clean, torchy fire. If it’s lazy or sooty there is an issue and will create inefficiency. Make sure your door and ash door gasket seals are tight and combustion blower appears to be operating as it should. Keep in mind that 95% of issues with stoves including poor heat output are directly associated with the cleaning/maintenance of the stove. I had to replace the door gasket on my St. Croix Lancaster corn stove. I used 7/8″ gasket but I am having trouble with the latch side of the door not getting a good seal once the stove heats up. It runs about 15-30 minutes then goes into shut down and the vacuum seal light comes on. I applied permatex and still not sealed. Any tricks or door adjustments I can try? Thanks for contacting us, happy to assist. The Lancaster does use the 7/8″ diameter rope gasket. Depending on whether you purchased an OEM or aftermarket gasket there can be variances in the density of that gasket. If I recall correctly, proper density/weave of that gasket should be soft to medium. The way the gasket is installed is also very important. Video link below you may find helpful. What I might suggest is to pull the gasket out in the area where you are having the proper seal issue and putting an additional bead of silicone behind it. High temp silicone is definitely preferred over gasket cement for example as it remains slightly pliable and tends not to harden and crack like gasket cement. Let it set for at least an hour and that should raise that area. When installing new gasket in a stove like you have it should be very tight – almost difficult to close the door at first until it fully settles in after a few burns. If I recall correctly I don’t believe there are adjustments on the door handle or roller latch on the Lancaster model as there are with other St Croix models. You can take a closer look and see if you can loosen the hex screws on the door handle or roller latch and adjust at all. Keep us posted, we are happy to help with anything you may need. Thanks so much for your informative and timely response! Going to try these things tonight. The pellets continue to feed after my stove shuts down. They pile up and I have to clean them out before restarting. Suggestions? Love my stove. Good afternoon Alan, thanks for contacting us. What St Croix model do you have? Does it have a rotary dial control board or a touch pad LED control board? Are you running the stove on a thermostat or on manual mode? That’s a very peculiar issue you are having with it feeding pellets after shutdown. We’ll need specifics on these items in order to better assist and help diagnose exactly what may be going on. My fire pot fills up faster than it use to on the first setting. I only burn pellets and never get any clunkers it is all ash. I can use something to push down in the burn pot so it doesn’t fill so fast. And the window get black faster than before. I noticed when I was cleaning it that one of the little side doors doesn’t close all the way now. Please help. Thanks for contacting us Donna, happy to assist. Sounds like we may have a combustion air issue going on here. You will also want to check your versa grate shaker underneath the burnpot and make sure that is moving back and forth. 1. Cleaning/Maintenance: #1 cause that creates issues like what you are seeing. Thoroughly clean the stove, all ash traps, upper heat exchange, exhaust blower manifold and venting. Ash build up in the stove or vent will cause these issues. 2. Check your gaskets on the door and ash pan, make sure they are tight all the way around. Inspect the glass gasket – make sure there are no gaps or air leaks. 4. As mentioned above, check your versa grate to make sure it’s operating correctly. By opening the side panel you should be able to see if the versa grate motor is running and if the cam/ball is rotating correctly in the versa grate shaft so that the burn grate shaker (Firepot Floor) is moving back and forth slowly. 6. Check your combustion blower / exhaust fan. Make sure it appears to be operating at near line voltage during start-up. Not 100% sure what you mean by the little side door closing properly. Possibly you mean the ash trap door? If the door is warped or tweaked we do offer new replacements for those. Just let us know. If you need any other help let us know. 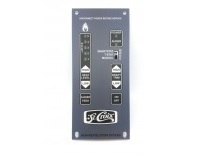 We do offer every part for St Croix and guarantee the best prices should you need anything. Thanks for contacting us, happy to assist. In most cases this would be a combustion air issue. 2. Inspect all gaskets – Door and Glass as well. Make sure there are no air gaps and tight seals all the way around. 3. Inspect your burn grate. Make sure it is seating properly and make sure the shaker plate (bottom of the burnpot) is working correctly and moving back and forth – Versa Grate. Make sure the air holes are open in the shaker plate and that ash is cleaned out of that cavity. Make sure the ash dump rod in that area is closing fully while in operation. 4. Inspect the combustion fan/exhaust blower and make sure it appears to be operating at proper voltage. Should be near line voltage during start-up. 5. Inspect the air inlet on the back of your stove. Use a good light and make sure nothing foreign is blocking it. Hope that is helpful, any other questions please let us know. We have a St Croix Lancaster. In the last month our pellets have been building up in the burn pot. Have to rake the top every 4-6 hours. Otherwise, it would overflow. We just replaced our combustion fan because it was shutting down shortly after it started up. But this build up was happening before that. I thoroughly clean my stove weekly and recently took everything apart and blew and shop vacuumed it all out, also. We have been using the same brand hard wood pellets for 6 years. We don’t use corn. Cannot see that any doors are leaking or not shutting right. Any suggestions? Thank you! Thanks for contacting us Dennis. Definitely sounds like there is a fuel to air ratio issue at hand. You should not have to clean your burnpot anywhere near that often burning premium hardwood pellets. Are you using a retro-fit pellet pot or are you using the cornpot that’s in the unit? There’s been quite a few changes to the burnpots and retro-fit pellet pots over the years for St Croix. St Croix has now gone to one multi-fuel burnpot for the Lancaster and other corn models. Better air-flow and combustion efficiency. Definitely inspect your burnpot and the holes. You should have a nice crisp torchy flame. Additionally St Croix corn models were notorious for ash accumulation in that back wall area. 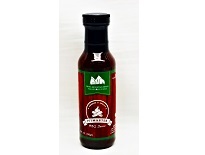 Very difficult to access or get to and definitely contributes to the air flow through the burnpot. If you can, first take a mallet and bang against that back firewall (remove brick panels if you have in place). This should allow more ash to fall down into the traps below. 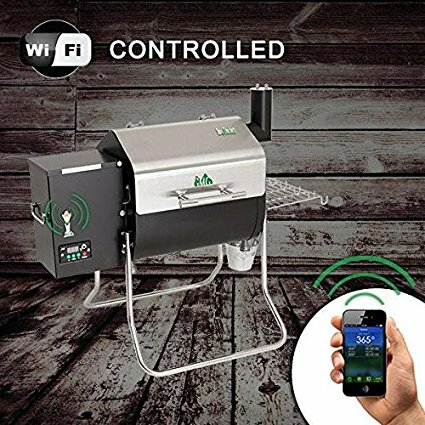 Best way is to pull the unit outside and use an air compressor or you can use the sucking part of a leafblower on the exhaust of the stove to pull out any trapped ash you can’t see or reach. Happy to help anyway we can. We have an older St Croix Lancaster. In the last month our pellets have been building up in the burn pot. Have to rake the top every 4-6 hours. Otherwise, it would overflow. We just replaced our combustion fan because it was shutting down shortly after it started up. But this build up was happening before that. I thoroughly clean my stove weekly and recently took everything apart and blew and shop vacuumed it all out, also. We have been using the same brand hard wood pellets for 6 years. We don’t use corn. Cannot see that any doors are leaking or not shutting right. Any suggestions? Thank you! Also, check your door gaskets for tightness. ON A COLD STOVE, Take a dollar bill, stick it half in and half out of the door, close the door, pull it out. Should be heavy resistance. Check multiple spots around the door – both front door and ash pan door. If we have even a slight leak in either one of these areas it will cause the issue you are having.